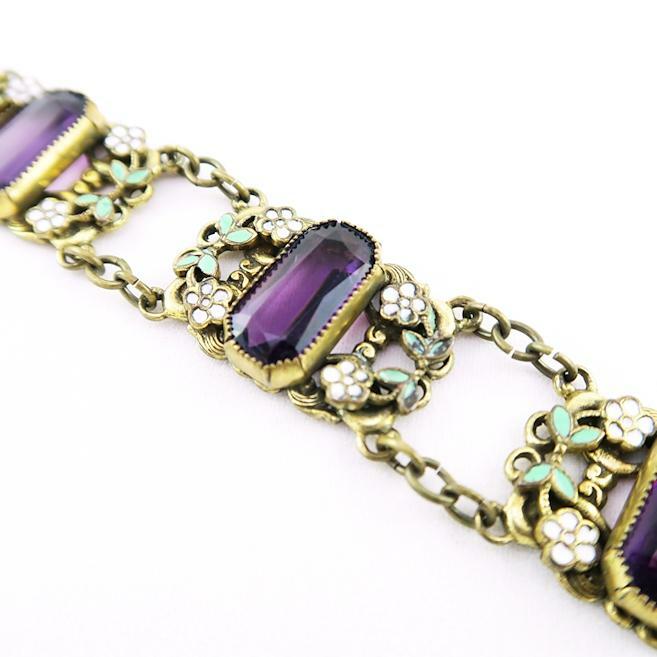 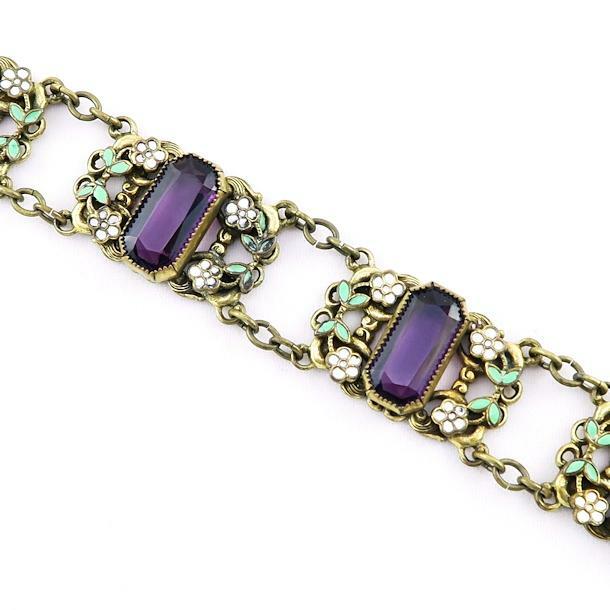 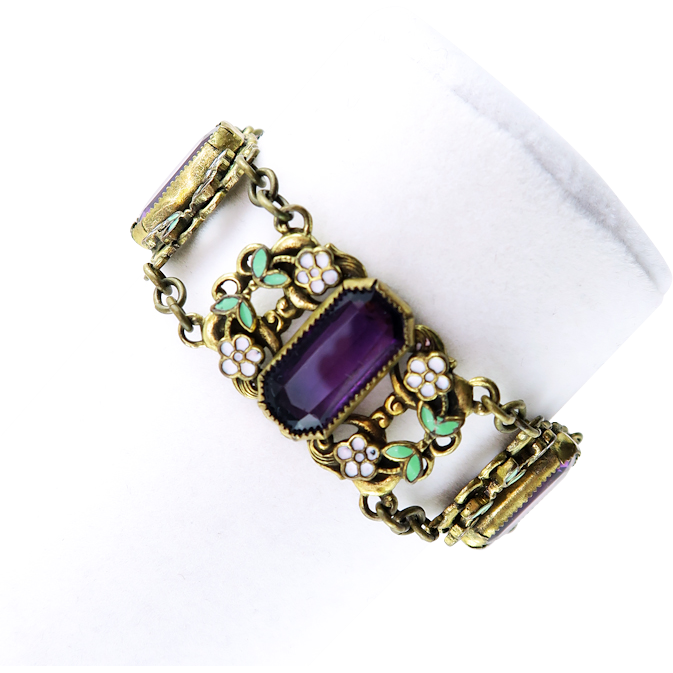 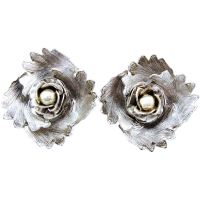 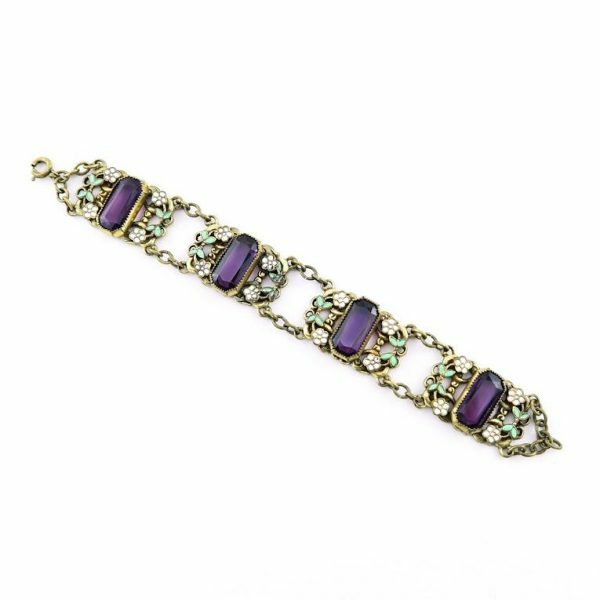 This feminine vintage Czech bracelet is a jewelry dream! 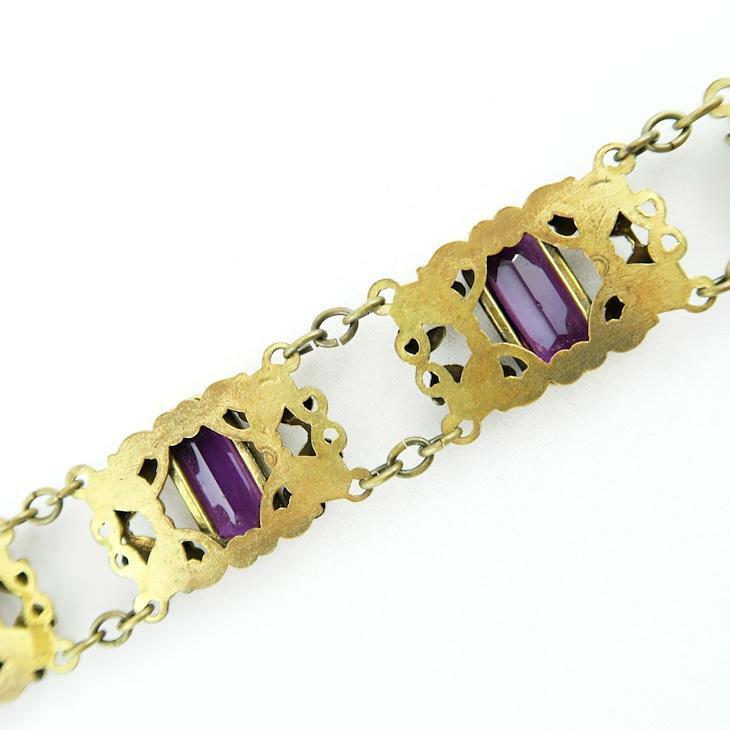 It would make a gorgeous and special vintage bridal bracelet! 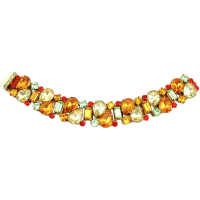 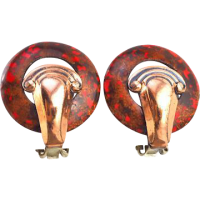 Condition: Very good with light wear on the back and a very small amount of enamel loss.